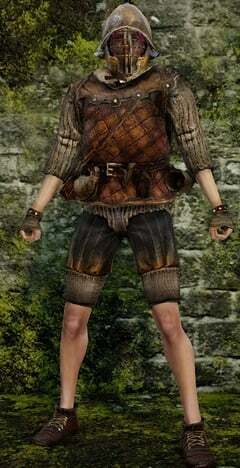 Bell Keeper Set is an Attire or Armor in Dark Souls 2. "An old armor that is oddly comfortable. Belonged to a Bell Keeper. To this day, the forbidden love of Prince of Alken and the Princess of Venn manipulates these marionettes. Surely they never imagined that their dolls would outlast their own kingdoms." Reach Rank 3 in the Bell Keeper covenant by invading as a grey spirit or by killing grey invaders in either Belfry Luna or Belfry Sol.